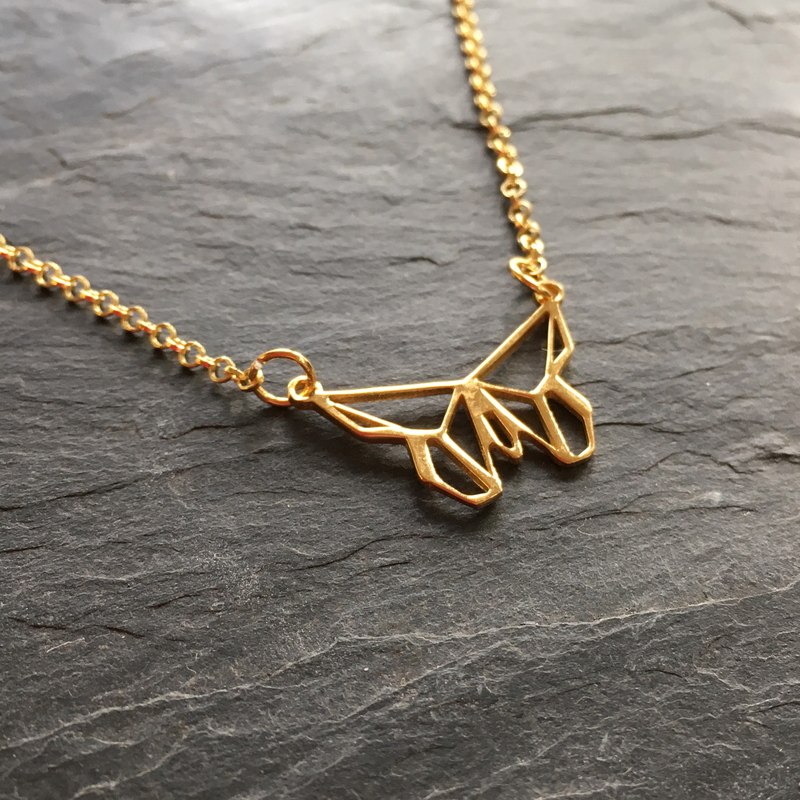 Beautiful feminine origami butterfly on a gold vermeil ( sterling silver plated with 9ct gold) chain. 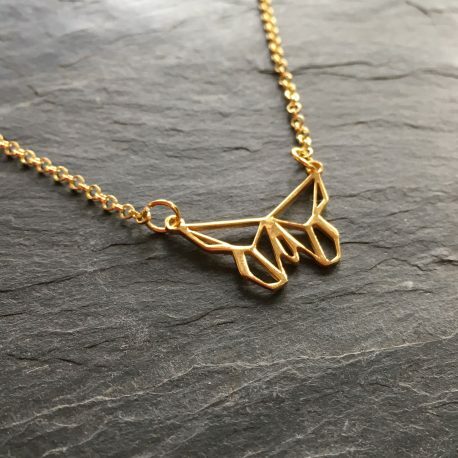 Butterfly is 3cm in size and overall necklac length is 18cm. 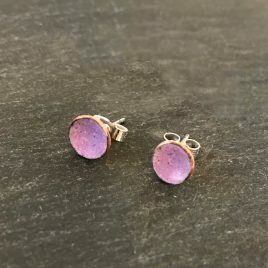 Mini Dots enamel stud earrings in heliotrope a warm purple colour great for everyday wear. The copper enamel dots are 8mm in size and have a sterling silver post and scroll. Similar items from the Dots Collection are available. 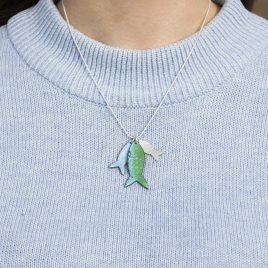 A Shoal Fish Tag Necklace made from two copper enamel fish that have been handsawn and shaped to create movement before being coloured with vitreous kiln fired enamel in sea blues and greens. A little sterling silver handstamped fish has been added to the shoal to create a cluster for this fish tag necklace. All the fish have been strung on an 18" sterling silver snake chain. A great gift for seaside lovers or sailors. Great gift idea for colour lovers. 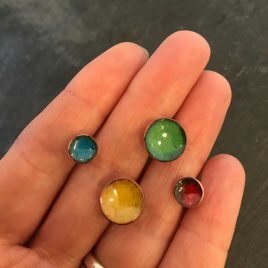 Two pairs of handmade copper enamel stud earrings in two different sizes and 4 colours. Chevron enamel layered pendant with embossed silver layer. 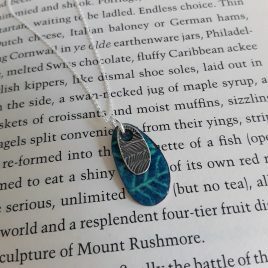 Delicate sgraffito enamel chevron layered pendant with embossed silver.